Adults have a wide array of books to help explore earth-based spirituality. But what if they want to include their children? Here is a handbook to help parents, caregivers, teachers, and counselors create meaningful spiritual experiences that will inspire children of all ages. The ideas, suggestions, and activities collected here show how to bring children into rituals that celebrate seasonal cycles and help reclaim the spiritual roots of today's modern holidays. With surprisingly little effort, earth-centered activities and rituals can be incorporated into simple daily routines. 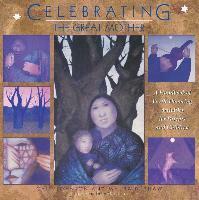 Part 1, "Handbook for Earth-Connected Parenting," gives techniques for developing a child's inner wisdom and sense of the sacred: dream journals, visualization, Tarot play, talismans, and interactions with the natural world Part 2 is a guide to the specific seasonal festivals, and offers a comprehensive collection of practical and enjoyable ways to celebrate the sacred days of our ancestors. Make a bean rune divination system, gather smudge sticks, grow grass pots, assemble a "dream pillow," create altars the authors offer easy-to-follow suggestions. Includes suggested reading and resource sections for locating additional information and materials for creative projects. Cait Johnson is an artist and writer who teaches workshops on the Tarot, dream work, and ritual-making. She is the author of Tarot for Every Day: Ideas and Activities for Bringing Tarot Wisdom into Your Daily Life. She lives in the Hudson Valley of New York. Maura D. Shaw, a writer and editor, teaches workshops on creative writing and the Tarot. She is the author of Owl's Journey: Four Centuries of an American County, and co-author (with Sydna A. Byrne) of Foods from Mother Earth: A Basic Cookbook for Young Vegetarians (and Anybody Else). She lives in Wappingers Falls, New York. Cait Johnson and Maura Shaw are also the co-authors of Tarot Games: 45 Playful Ways to Explore Tarot Cards Together, published by Harper San Francisco.